The Return of the Railsplitters! Folks, don’t delay – this one is going to sell out. For sure… IS SOLD OUT!! THIS SHOW IS NOW SOLD OUT. NO FURTHER TICKETS SALES PLEASE. ANY FURTHER REQUESTS GO ONTO THE WAITING LIST. 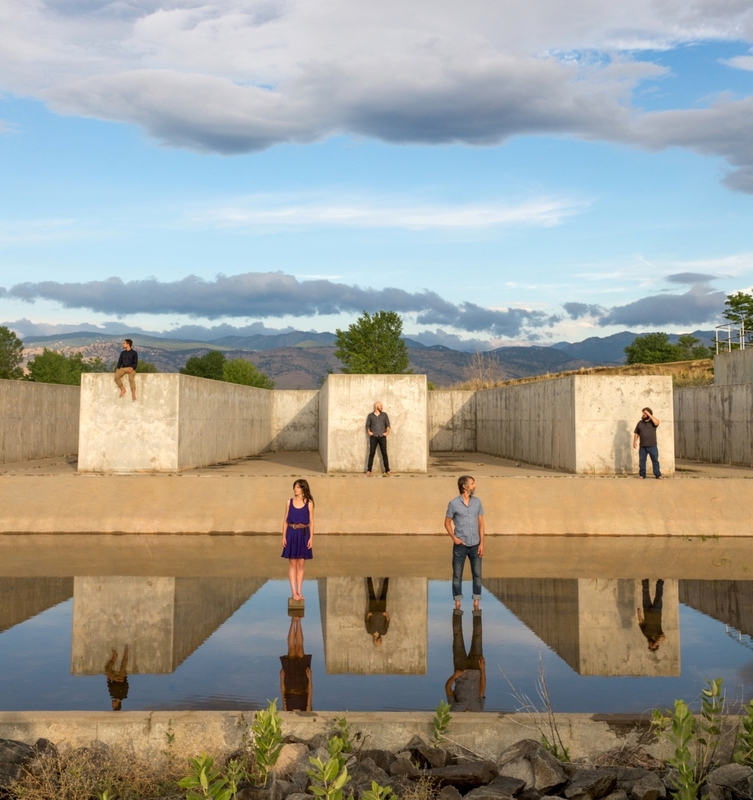 The Railsplitters bring their high energy brand of unconventional bluegrass from Boulder, Colorado back to the village! Although rooted in traditional bluegrass and old time music, The Railsplitters push the boundaries of those genres in every sense. Look forward to hearing lush harmonies, instrumental virtuosity and non-conformist songwriting. 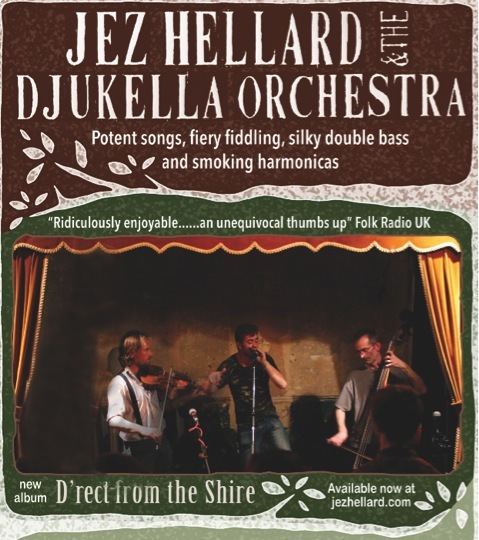 This hugely entertaining band draws on a range of influences including folk/roots, Americana, modern pop and rock & roll as well as bluegrass pioneers like Bill Monroe and Earl Scruggs. Featuring banjo, mandolin, fiddle, guitar and upright bass, The Railsplitters have the kind of raw power that will knock your socks off! The line-up features Mississippi-born Lauren Stovall and her luminous vocals in the lead, Dusty Rider’s melodically intricate banjo licks, Peter Sharpe’s Brazilian and bluesy flair on mandolin, Joe D’Esposito’s New England and Italian-inspired fiddling and the ever-so-groovy Jean-Luc Davis on the double bass. Having got their career off to a flying start by winning the band competition at the popular and influential Rockygrass festival, The Railsplitters have spent much of the last few years on the road honing their craft. With three albums and two extensive UK tours under their belts, the band has received rave reviews on both sides of the Atlantic for their songwriting talent, outstanding vocals and exceptional musical range. Though they operate with the instrumentation of a bluegrass band, The Railsplitters are making music totally unlimited by tradition. This is music for the open road, the open dance floor, and open ears – music of the American West, made for all. It’s going to be quite an evening! The raft that laughed. The chariot of chortles. The five door of haw haw. 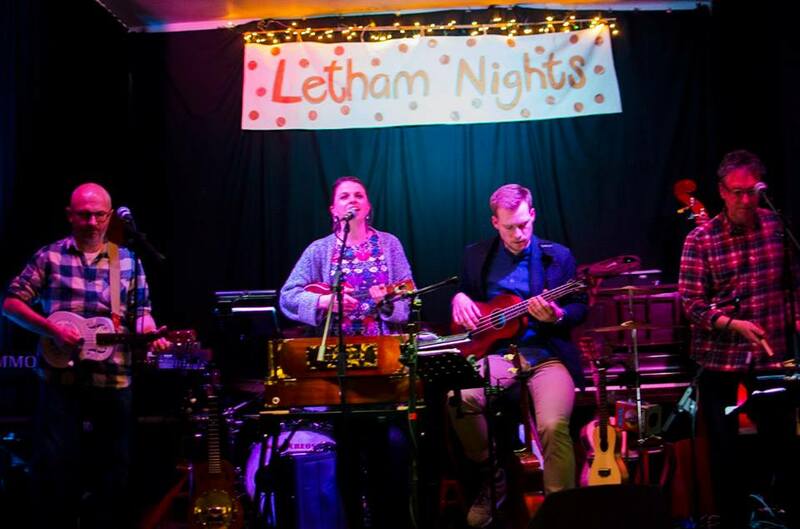 Yes, for one night only, the Letham Nights rock n roll behemoth became instead a vehicle for amusement and smirkful appreciation of the dark arts of the stand-up comedian. At this point a lesser reviewer would offer up a corny play on ‘laughter being the best medicine’ and ‘who better to mend a broken funny bone than a qualified doctor’ and ‘doctor, doctor, my sides have split with mirth’ and other such baloney. But we’d never do that….. Never in a million years…… Well, erm…. You see we’ve never had a proper comedy night (complete with full blown comedy legend) so we’re a bit nervous about committing our stodgy witticisms and feeble gags to posterity lest we be judged for the ill-bred toothless simpletons that we, admittedly, are. Be that as it may, there was a night, and oh, what a night. A night of laughter and pathos. Of stage-diving and c-bombing. Of Matt the Knob and ‘Steve’ the King of Latin. Of old booze and new friends. And to cap it all there was the semi-mythical heifer of beneficence, shaking her mighty udders over all assembled and causing them to spill great filthy wadges of cash into the milk-bucket of kindness and making a sh*t-load of money for MacMillan Cancer Support in memory of great friend and Mutley-wheezing, teary-eyed joker, Iain Macaulay. First up was Kiwi Mancunian (Mankiwian?) hepcat, Sully O’Sullivan. Sully had us pretty well sized up (somewhere between pre-theatre and social club) before he’d delivered his first line. Sure enough, his mischievous patter hit all the right notes and his bits on Britain’s national animals (‘we’ll see your dragon and raise you a unicorn’) and religious fights between Paisley school kids had us all in bits. I’m afraid poor Matt came in for a bit of stick but if you will sit fifteen rows from the stage what do you expect, Matt? 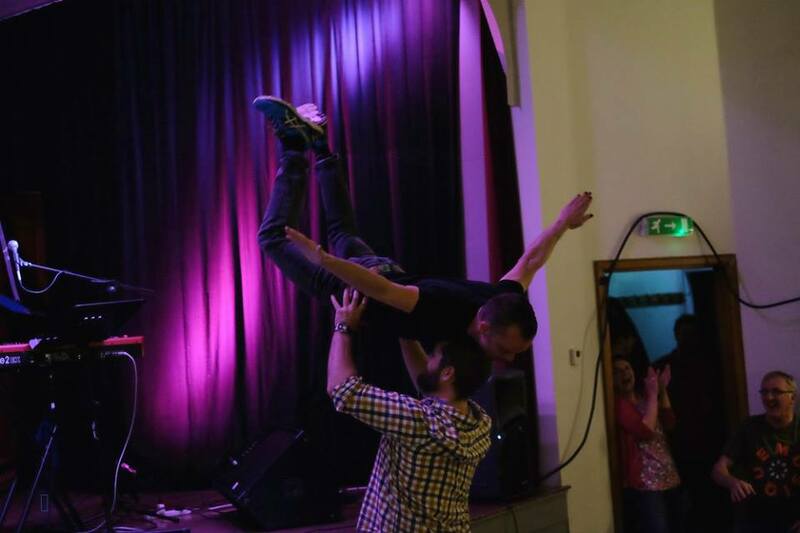 It was prudent that we had doctors in as Sully’s Dirty Dancing finale with ‘Steve’ could have ended badly but turned out to be a thing, nay a shimmering crystalline moment in time, so achingly beautiful as to bring a tear to the eye of all who could bring themselves to watch. The time of our lives, indeed! Then our main turn, ladies and gentleman. And we were in the company of comedy royalty. Author, performer, writer of radio and television gold, qualified doctor and all round good egg, Adam Kay was in the house and rocking a rather fetching medical shoe for an injury caused by a randy bull…possibly. Adam’s performance was less stand-up comedy and more subtle comic rhetoric with musical accompaniment and political overtones. 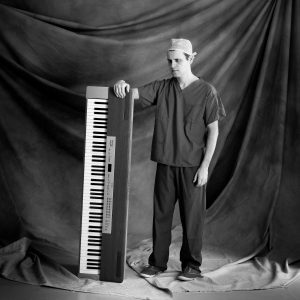 So a hilariously uncomfortable excerpt from his ‘young doctor’s case book’ about patients with (how to put this) self-administered ad-hoc internal prosthetics are followed by medical reworkings of popular hits. Who could forget Paul McCartney’s jaunty tribute to urinary issues, ‘Oh Bloody Bladder’? Or that timeless paean to pulmonary decay, ‘The Girl with Emphysema’? But it’s not all hits and giggles. Adam has been leading us up the garden path, boys and girls. By way of finale he offers us the harrowing story of his final outing as an obstetrician. It’s not pretty and it’s not funny but it is big and clever and it leaves no one in any doubt of the point that Adam has been craftily leading us up to. It seems our medical professionals are not in it for the money or adulation and Secretaries of State who claim otherwise are disingenuous at best and perhaps even a little bit shitey. Well, quite. Adam’s generosity didn’t stop at waiving his fee. He also provided us with ten, personally dedicated copies of his amazing new book, ‘This is Going to Hurt’, for silent auction. 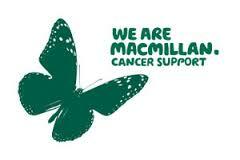 And our amazing Letham Nighters went above and beyond the call of duty with the books and takings fetching a cool £1,760 (one thousand, seven hundred and sixty pounds) for Macmillan Cancer Support. 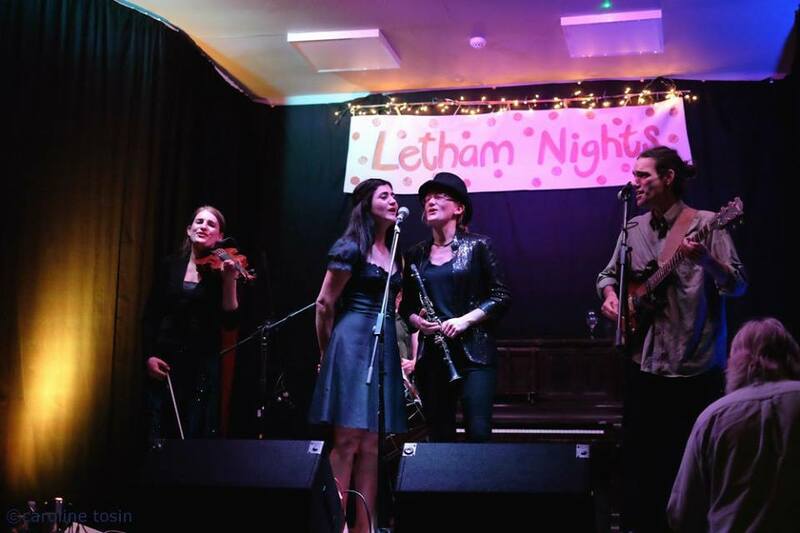 Calling All Letham Nights Lovers! How much do you love Letham Nights? Do you want to see our shows continue? Could you do ONE THING ONCE? Yes? Then get in touch! Planning and setting up the shows and clearing up after takes a lot of work and at the moment this is down to a very small group. If a few more folk could give up the occasional hour here and there, then we are sorted. If not, then without meaning to alarm you, things get a bit tricky. At Letham Nights, you know us… We like to branch out, push boundaries, give you something you didn’t know you wanted. This time we are going for the jocular and we think you will be very amused. Writer and comedian, Adam Kay, has just finished a second completely SOLD OUT run of his acclaimed comedy show at the Edinburgh Fringe. He also did a completely SOLD OUT run in the West End and has toured internationally. 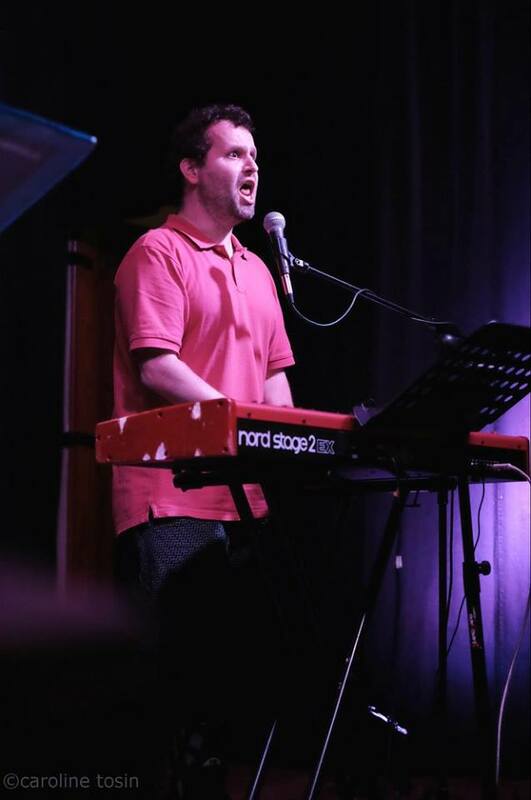 He is a previous winner of the London Cabaret Award and writes extensively for TV, film and radio. Credits include Mitchell & Webb, Very British Problems, Mrs Brown’s Boys, Crims (co-creator), Mongrels, Up The Women, Flat TV, Our Ex Wife, Child Genius. 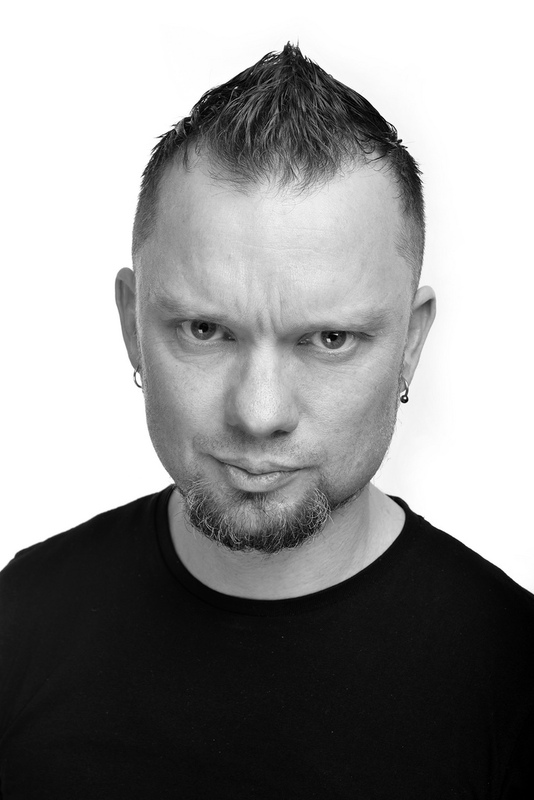 Adam is a regular voice on Radio 4’s “The Now Show”, and also appears on BBC 2’s The Culture Show. His first book “This is Going to Hurt” was published by Picador on September 7th 2017 and shot straight into the best-sellers list. The book has been showered with a deluge of positive reviews from all major news outlets from the Sunday Times to Buzzfeed as well as effervescent endorsements from Stephen Fry, Jonathan Ross, Mark Haddon and Shappi Khorsandi. The book – and his live act – is a painfully funny and very moving account of his 6 years as a doctor in the NHS. It will split your sides and break your heart. So get booking folks! You will be rewarded with some of the best laughter medicine money can buy! And of course we won’t short change you! We have booked not one but TWO acts. Opening for Adam will be another comedy genius of the Fringe, Sully O’Sullivan. Sully was a highlight of the New Zealand International Comedy Festival by The NZ Herald, a highlight of the Glasgow International Comedy Festival by The Scotsman, featured on Australian TV’s The Comedy Channel, hosted a sellout standup tour of Croatia, won Canada’s annual Improvaganza Tournament, and completed 2 UK national tours. Warnings: Contains strong language, medical and sexual references. Hannah Jarrett-Scott is a young Scottish singer-songwriter and whilst this was one of her first solo gigs, she quickly showed that she is used to being in the spotlight, drawing a warm and appreciative response from the Letham Nights audience. Trained at the Royal College of Speech and Drama – she has a CV that includes Katherine in ‘Taming of the Shrew’, Rosie in ‘Cabaret’ and Richard II in ‘Richard II’. Accompanied on keyboard by Gill Higgins – who also added sweet harmonies – Hannah switches between achingly beautiful ballads to upbeat quirky songs with both genres giving us insight into what this young talent is all about. 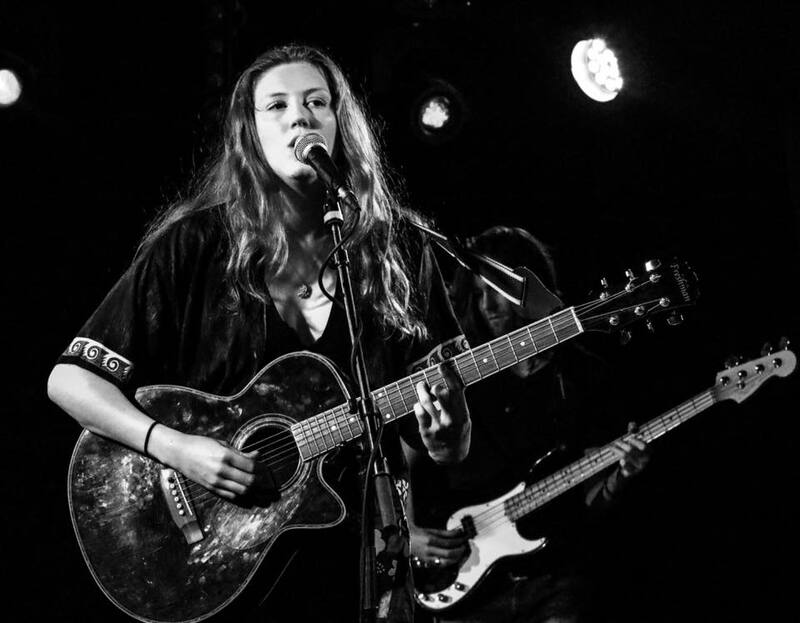 In ‘Those Days’ you get the full range of Hannah’s voice – the athleticism, power, tonality and warmth. In ‘Granny Song’ you get a glimpse of Hannah’s personality, humour and skill with words – “If I don’t see you at the weekend, I’ll see you through the window” – and anyone who gets the line ‘from Kelty to Kirkcaldy’ successfully embedded into their lyrics has my respect. This voice is at the start of an exciting journey and I hope I don’t have to wait too long for another encounter. (Check out her EP ‘Pictures’ available on iTunes). Reverting to my deck of cards theme Rachel would be our Queen of Spades, if I believe the press that our chanteuse is a leading exponent of ‘Folk Noir’. Rachel, it is said was born under a rainbow, and whilst there are dark tones in those whimsical magical songs – there is an overriding tenderness in her pure, pure voice, the fragility and vulnerability of which belie its immense power. It is three years since I last saw Rachel and it has been far too long. To see this elfin barefoot sprite grace the stage in Letham with Jen Austin and Thomas Cauldwell at her side and transform a village hall into what felt like a clearing in a pinewood as the Northern Lights danced around you was pure enchantment. One of the pleasures of hearing any song of Rachel’s is that it always feels that you are hearing it for the very first time. It seems so fresh and personal to you – this is especially true in ‘Gently III’ and ‘Banks Are Broken’. Maybe, it’s because the songs come straight from her heart and dreams that gives the audience such a sense of intimacy. But like the Lady of Shallot you feel always that mirror will soon crack from side to side – ‘Tonight is the last time I get to hold you fast’ she sang as the Letham audience were thralled deeper and deeper into her web of mystery. We drank in ‘Wine Sweet Wine’ and ‘Tractor’ from ‘Tied To The Moon’ and as ‘the Fog’ gently cleared it was all too soon time to say adieu. 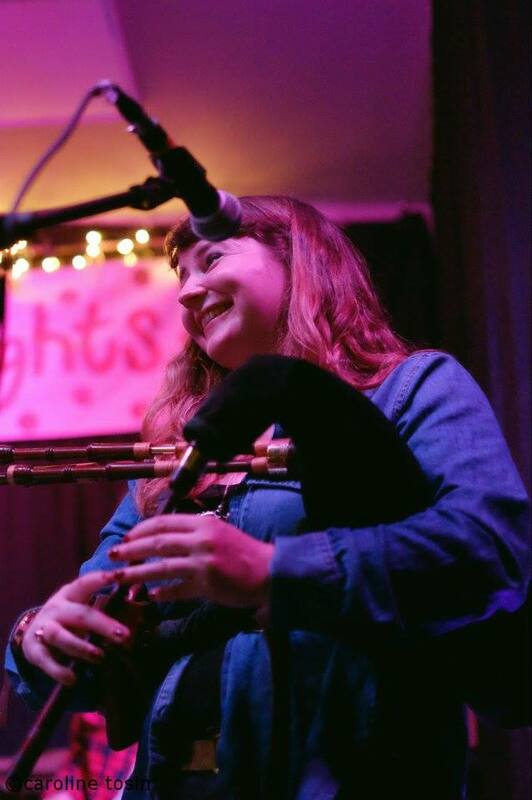 Rachel ended the night by coming off the stage to say goodnight with Ella Fitzgerald’s ‘Dream A Little Dream Of Me’ and I am sure one or two did – but at Letham Night No 52 she made my dreams come true – Thank you, Thank you Rachel!! 2 WEEKS TO GO – STILL TICKETS LEFT!! 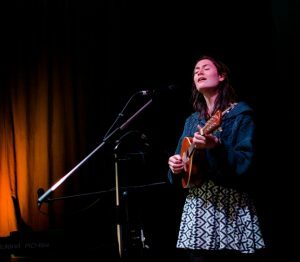 The music of Folk-Noir Balladeer, Rachel Sermanni, has the flesh of Folk but, if you were to cut the skin, you’d find it pumped with contemporary, genre blended blood. 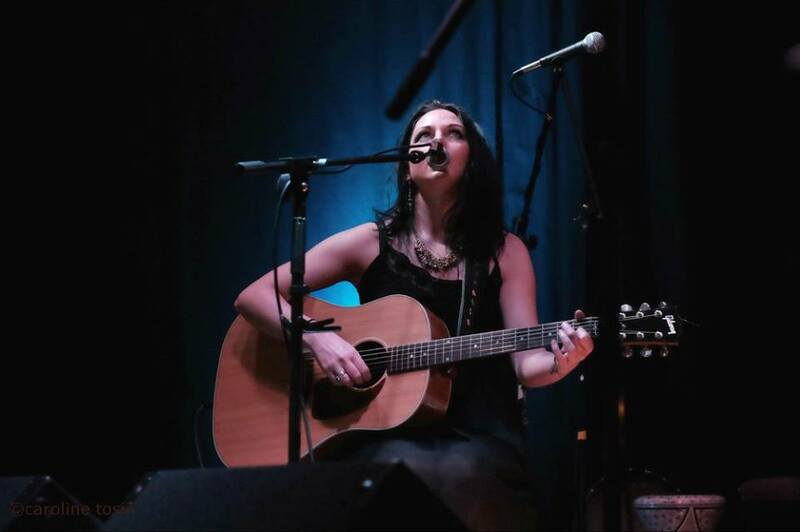 Born under a rainbow, in Raigmore hospital, on the 7th November ’91, Rachel Sermanni has grown into a writer, musician and artist. In all that she creates, it seems, there remains a preservation of the pure and mystical, symbolic in that beam of fragmented light that shone, 25 sun-spun years ago. 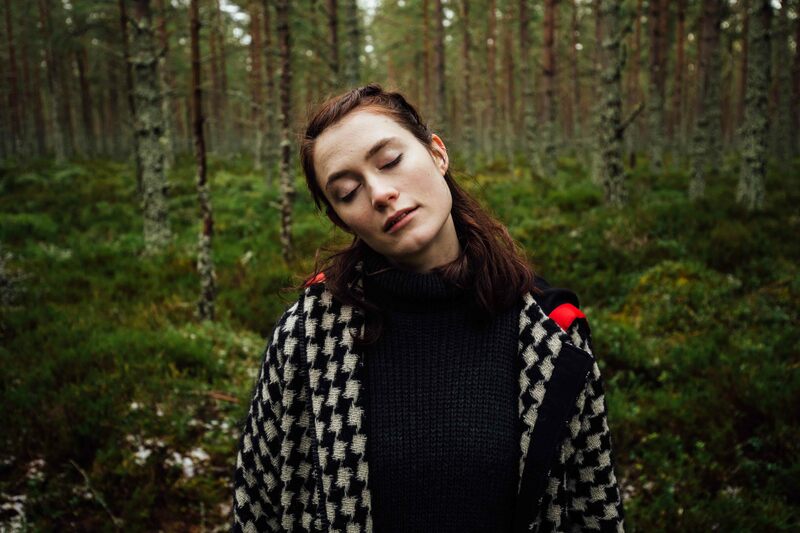 In 2011, Rachel Sermanni released her first EP, The Bothy Sessions, recorded quite spontaneously, deep in a Highland forest with 10 friends. Soon to follow came the studio EP, Black Currants. And on the 12th September 2012, Rachel’s debut Album, Under Mountains, was set free into the ether. 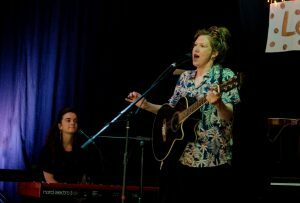 Produced by Ian Grimble (Travis, Manic Street Preachers, Texas…) and recorded at Watercolour Studios nestled among big, purple hills in the West Highlands, Under Mountains was Rachel’s first full musical contribution to the world. And the world opened it’s doors. In March 2014, hiding in the sticks of Nova Scotia, Rachel sowed the seeds of a new creation. Tied to The Moon is Rachel’s sophomore studio album. It was released in July 2015 to wide spread critical acclaim. The songs follow the theme of being ‘Like a Moth’; of being in darkness but drawn to the flame. To hear it is to take a walk in the moonlight. Tickets Available – Click Here! At Letham Nights we are no fans of walls and boundaries. So on October 7th 2017 we will be breaking boundaries again and hosting our first and undoubtedly hilarious COMEDY NIGHT! This will be a special memorial show to a great friend of ours with our main act taking no fee and the proceeds going to MacMillan. Again, we will keep you posted with details. 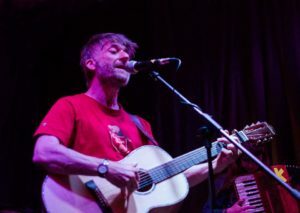 After the heady gig of Letham Nights’ half century with King Creosote, I felt a mixture of fear and anticipation as we embarked on the next instalment of our musical journey, wondering how we were going to manage to follow LN#50. I then recalled that when travelling in India, 51 was seen as a lucky number in the sub-continent – indeed you will be often paid £51 as opposed to the £50 price on the ticket; – it is a blessing to receive the extra coin: 0 signifies an end and the £1 signifies a beginning or a gift that you have been given to increase. And in inimitable Letham Nights fashion the night was a gift that signalled many new beginnings that I am sure will produce a heavy crop in years to come!! 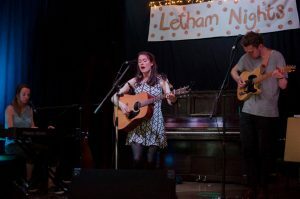 First to grace the Letham Nights stage, was the raven haired Nicola Madill, an emerging singer songwriter from Tayside, ably supported by the strings of John Curran of Leveebreakers fame. I was concerned when she stood up to give us the first of the beautiful songs she has written, as the packed hall was unusually restive. But should I have worried? Definitely No! By the end of the very first line of ‘There is’ she held the heart of every man and woman in that hall in the palm of her hand and you could have heard the proverbial pin …. By the end of the second song – Diamond and Rust (Joan Baez’s lament for Bob Dylan) she had totally ensnared us in her web as she made this song her own. I may be putting myself out there – but in my opinion at Letham Nights 51, we heard a voice that will be listened to for many years to come. In ‘Invisible Strings’, a track from her album Solene (to be released in June), Nicola sang “I don’t hear you knocking at my door’ – but I heard her hammering at the door of the music industry. She has a tenderness and a melancholy in her voice that I have not heard since the late great Sandy Denny. But just like Sandy she can put her pedal to the floor and ramp up the power of her voice at the flick of a switch. It is not just about the notes that she sings that speak to me, it’s in the gaps and her phrasing that she takes her art to another level. I suspect there is a great blues singer in there too and I look forward to hearing more. There was also a real sense that this singer has lived the songs she has written and if you missed this performance, I urge you to follow her journey as I know its going to be long and epic. Well, I thought how could you possibly follow that. 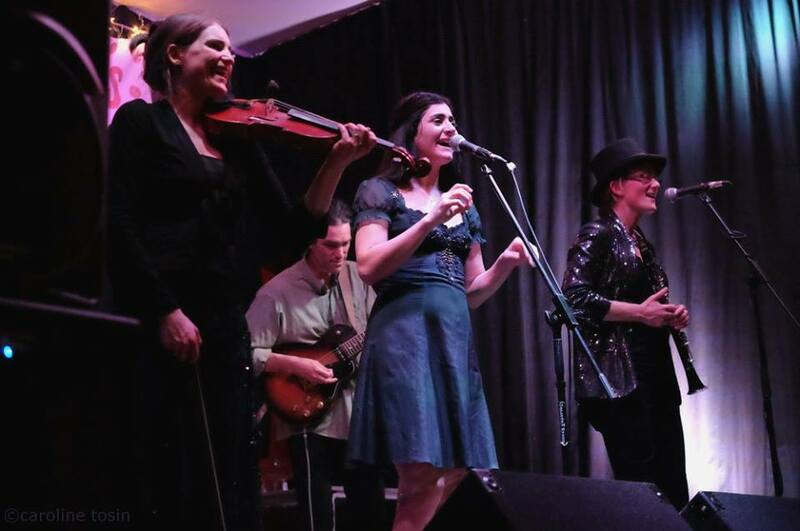 But She’Koyokh did and did it with great style and panache – a heady mixture of humour, virtuoso musicianship, spiced with the frenzy, joy and soulfulness that is inherent in klezmer music. The 5 piece band (they are usually 8) had the Letham Nights faithful first tapping their toes, then stamping their feet and by the end of the night cavorting around the dance floor inventing their steps as they whirled around like dervishes. Yes, it was an evening full of energy and musical exploration and you got the feeling that for these exceptionally talented musicians the act of making music and having fun while they were doing it was an end in itself. The troupe was led by the mesmeric clarinet of Susi Evans who was like an elfin artful dodger as she picked the pockets of our souls – and as she led, we certainly followed. Just as prominent was the violin of Meg-Rosaleen Hamilton who took us on a journey through the Balkans (she honed her art with gypsy fiddlers in Rumania) then into Turkey with her spiralling notes. At the core of the band was the drumming of Christina Borgenstierna and the guitar of Matt Bacon, both graduates of the Plodiv Music Insitute of Bulgaria. But what about the vocals – well they were the icing on the musical cake that is She’Koyokh – Cigdem Aslan appeared like a kurdish Snowwhite that has flown in straight from plains of Anatolia – a voice like a nightingale that had dined on a dish of mulberries and with her coquettish theatrics she was a joy to watch and a delight to hear. This was one class act! The gig was a platform for their new CD – ‘First Dance on Second Avenue’ – they entertained us with songs about love and romance , Thracian folk songs, an Armenian story of forced migration and loss to jigs from Greece. They led us a merry dance through the olive trees and vineyards of the Balkans with a humour and frenzy that will live in the memory a long time – Haste ye Back to Scotland She’Koyokh – I think I have become a klezmermaniac!! And so to the next one…! …the second half of our Letham Nights Century! For our 51st event, we are branching out again to another exciting musical genre. This time, we are proud to present the extraordinary Balkan & klezmer ensemble, She’Koyokh. 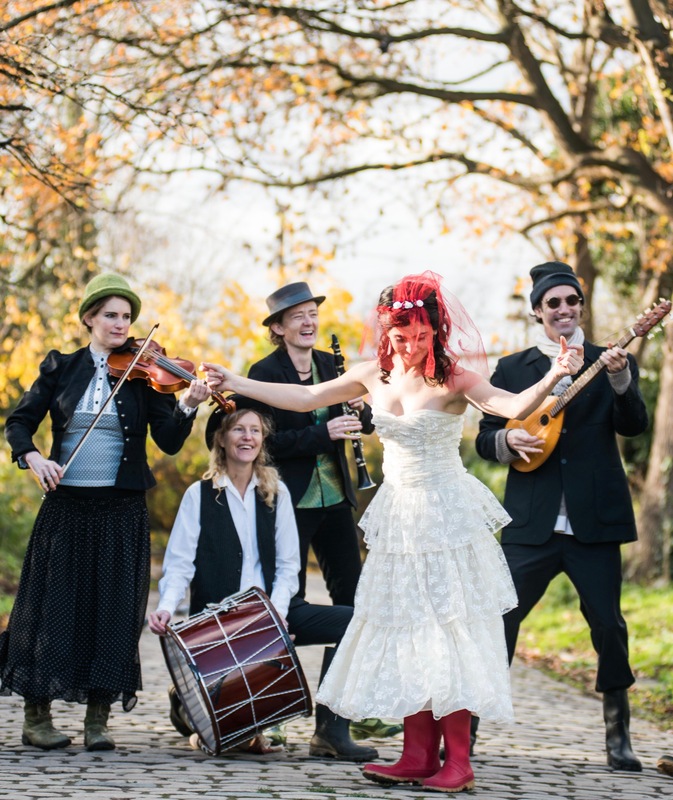 Hailed as “one of London’s musical treasures, playing the best Balkan and klezmer music in Britain” (Evening Standard), the band have also been described as “amongst the finest klezmer ensembles on the planet” (The Australian). The band will be touring their fourth album, ‘First Dance on Second Avenue’, a formidably gymnastic journey across Eastern Europe, She’Koyokh starts out in 1950s New York featuring klezmer, virtuosic Balkan dances and soulful songs from Albania, Armenia and Bulgaria, finishing up in a Turkish sauna, via Romanian mountains, and Serbian villages. The tour takes in Southampton, Liverpool, York, Radlett, Edinburgh and Chichester, the Trondheim Jewish music festival in Norway AND OF COURSE LETHAM NIGHTS!! 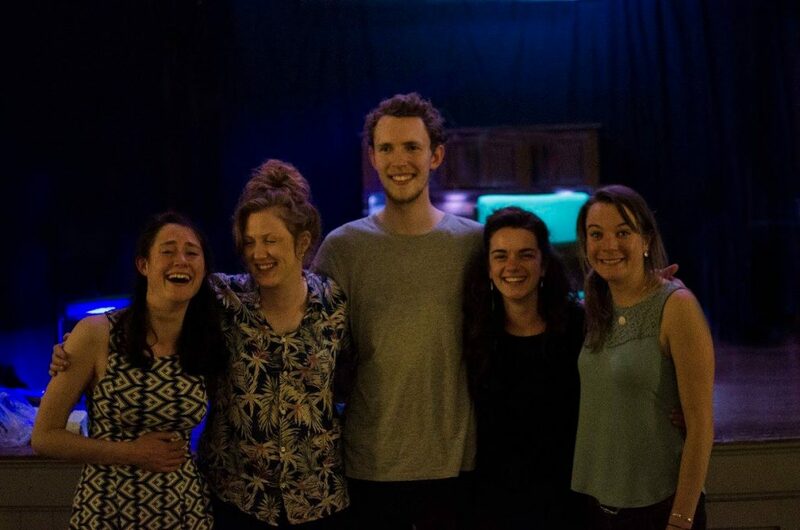 As well as TV appearances and live sessions on BBC Radio 3’s In Tune and World on 3, they have performed at festivals such as Glastonbury, Cheltenham, WOMAD and Sziget (Budapest). In March 2014 She’Koyokh released their third album, Wild Goats & Unmarried Women, on World Music Network’s Riverboat Records to critical acclaim, receiving 5 star reviews in the Evening Standard and The Australian and 4 stars in the Guardian. 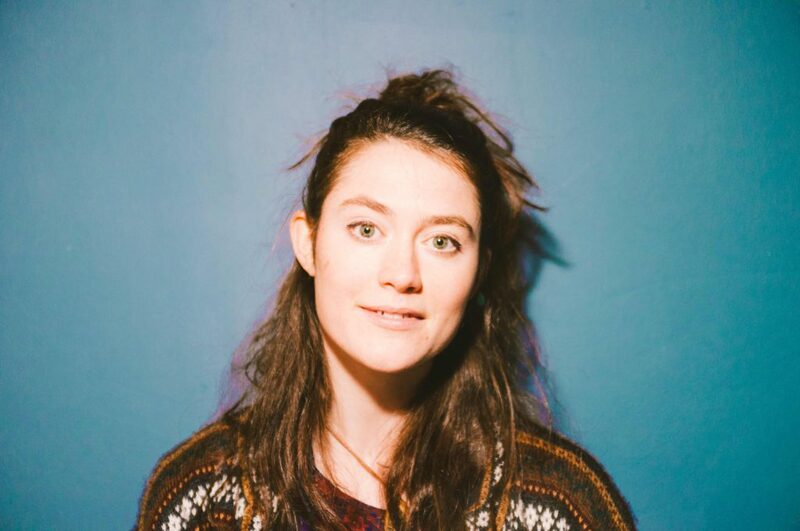 We had to pinch ourselves when the amazing Rachel Sermanni gave us a resounding YES! when we asked if she would headline our 52nd show on Saturday 17th June. How exciting is that!! Tickets for this are now also on sale. Please use the correct reference if booking for this show. 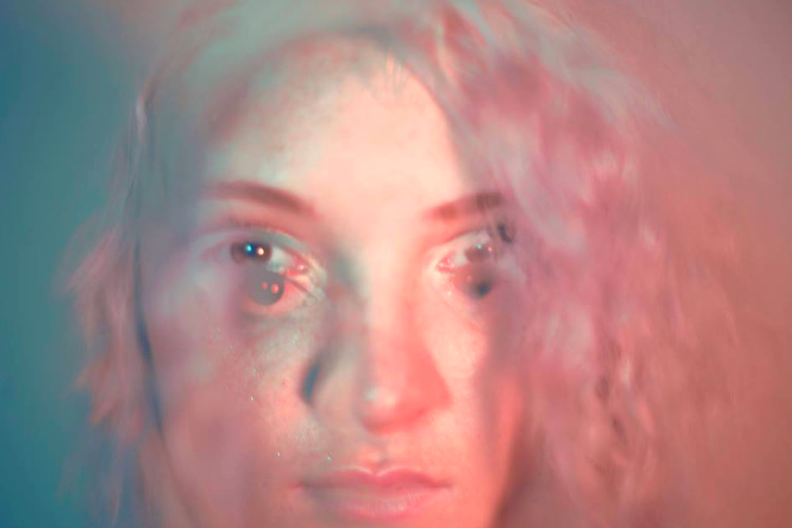 We are also now delighted to announce that the opening act for this show will be the fantastic Hannah Jarrett-Scott who has just launched her first EP, Pictures, to critical acclaim. Holy moly, mercy me, mama mia and OMG! What a night. What a celebration. WHAT. A. BELTER. Oh, yes, yes, yes, ladies and gentleman, it was sold out and rolled out, turned out not burned out, meltering, sweltering and purely beltering fun, shenanigans and all round good time action on the pretty, pretty occasion of Letham Nights Number 50! Yes, fifty! Or, as the Romans would have it ‘L’. Yes, L for loving it, loving it loving it. As special Golden Jubilee guests go, we had a proper rip-snorter of an act, don’t you worry. But more on that in paragraph 3. You’ll just have to wait and see. First of all were good friend of Letham Nights and all-round good egg, Stephen Wragg and his Rag House Band (get it?). 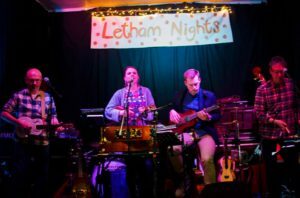 Shredding ukulele and ably backed by family members and antipodean bush-bass buddies, Stephen and his cheeky ensemble gave us a charming, tuneful and, at times, amusing curtain-raiser for our special night. 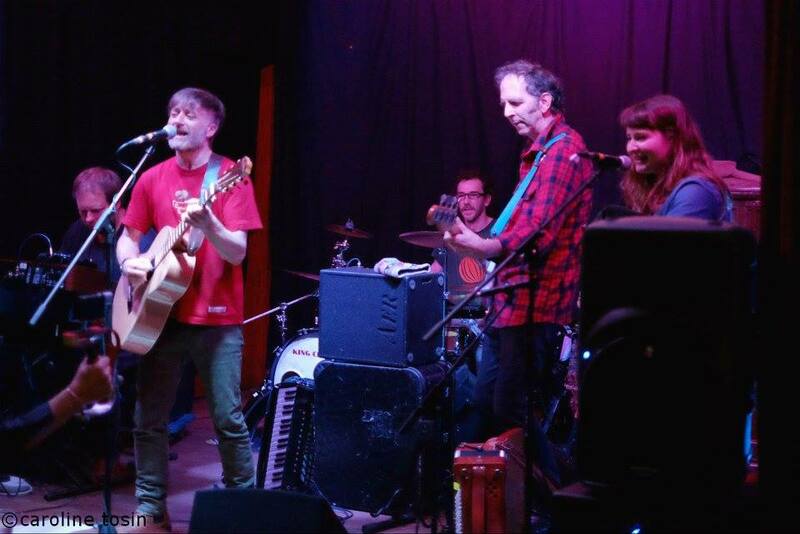 With Rachel Wragg’s beautiful voice (shades of Beth Orton, I hope she won’t mind me saying) leading the vocal line, husband Andy on bass uke (it’s a bass, but 20 inches long – no, honestly!) and Graham from Down Under working various contraptions made from cans (and a theramin), the foursome worked their three-part harmonies and laid back uke shapes into a belting little set. Last song, Needs and Wants, united the whole band on ukes and tickled many a funny bone. Think Manu Chao meets Flight of The Conchords. In a good way. Did I mention we had a special act for our fiftieth? I did? Oh. Well, I wasn’t joking. 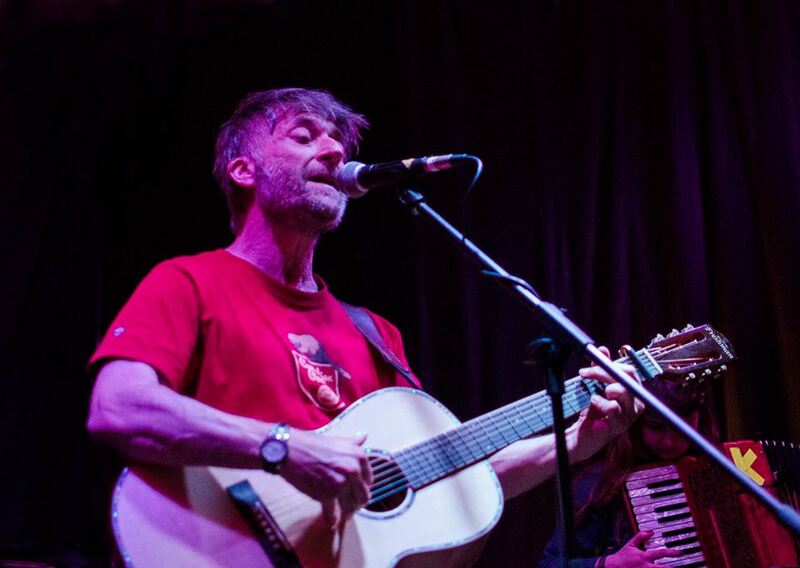 Fife legend, singer-songwriter par excellence and all round nice guy, Kenny Anderson, aka King Creosote, was kind enough to light up our souls with his unique blend of mournful, soul searching earth sounds. Brilliantly backed by four amazing musicians (Des Lawson on keys, Andy on drums, Gogs McLean on bass and the incomparable Mairearad Green on accordian), Kenny brought his haunting ballads of welsh wind-turbine angst (Melin Wynt) and relationship break-up waltzes (Rules of Engagement) to delight our ears and ignite our better natures. For a while at least. Because then the mood changed. Movement was discerned upon the dance-floor. Participants, at first only in the single figures but swelling, swelling into ever greater numbers; the floor gradually filling with so much heaving flesh. Slow-burning beauty gave way to toe-turning booty (sorry) and the hall uprooted and took flight, carried along on the intoxicating, seedy breath of Bacchus, winging it’s way through the cold Fife sky. And the banter, oh, the banter. There’s only one thing a Letham crowd appreciates more than great music and that’s a bit of chat. And this charming man, as well as being troubadour number one, can also work a room like a comedy giant. Des Lawson and Les Dawson all for the price of one! HONK! Great music, lunatic dancing and #bantz. It doesn’t get much better. Mmmm… nice! Special mention is given to our own Michael Farrell and his brave, honest and moving poem paying homage to his big bro, Gerry. Nice one, Micky! Another honourable mention to stage invader Richard who travelled all the way from Skye just to hi-jack the festivities and say a few stirring words on the nature of friendship and cultural stewardship. Well done, Richie Boy!